To view Competition within your association, please follow these simple steps. 1. From your dashboard hover over 'Competitions' and click 'List Competitions'. 2. 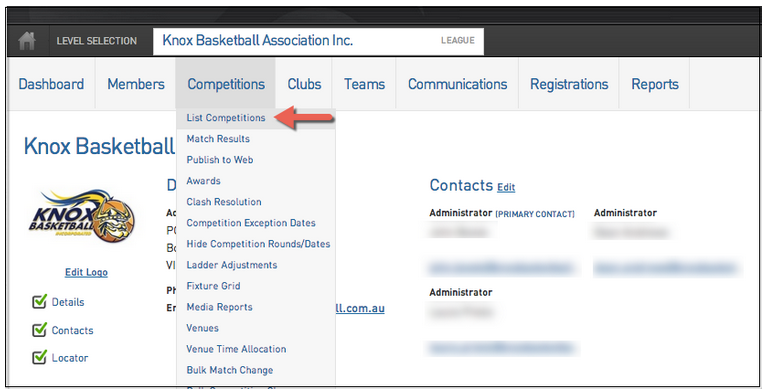 To view more information within your competitions, click on the magnifying glass next to the specific competition.